One of the terms that one often hears about in addiction treatment is a community recovery center. It speaks to the supportive aspect of recovery as every person needs to be enveloped by the love and support of those around them to find their way to a long-lasting drug- and alcohol-free life. Through such a system of support, recovering addicts begin to realize that they aren’t alone, and help is always there. In this article, we will explore what is meant by the term “community recovery center” in terms of outpatient rehab services, and explore what other ways a rehab can help you or a loved one achieve a clean and sober life. What is a Community Recovery Center? 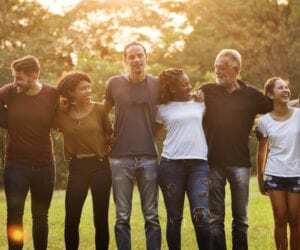 One of the aspects of addiction treatment is the establishment of a community support network that a recovering person can turn to in order to prevent relapse. In this sense, a community recovery center is a place where people who share a common goal – recovery – can come together to support one another, creating a fellowship of peers that are all striving to achieve their goals – becoming clean and sober and maintaining that state of being. At an addiction recovery center such as WhiteSands in Kissimmee, one of the elements that the community addiction treatment services focus on is helping individuals from all walks of life to become involved with the community of recovering addicts in their area. It’s sometimes easier to talk to someone who is going through a similar situation than other people who don’t quite understand your situation. During your treatment at the WhiteSands facility, one of the things that you’ll work on with your addiction specialist is your relapse prevention plan. One could argue that it’s easy to stop taking drugs and alcohol; the hard part is staying clean and sober. Relapse statistics support this statement; the first year is the most difficult to stay clean and sober as 40 to 60 percent of people relapse, after which the relapse rate drops considerably every year after the first. It is therefore imperative that every measure be taken to reduce the risk of relapse, such as having ample support during your recovery. According to the Substance Abuse and Mental Health Services Administration (SAMHSA), support during recovery helps to remove the barriers to recovery, better navigate through systems of care, live fuller lives within their community, and perhaps the most important, it helps keep people involved in the process of recovery. Recovery is a constantly evolving state. Treatment is effective, but when people decide to stop following their recovery plan, then they open themselves up to addiction again. At rehab centers such as WhiteSands, an effort is made to help promote the sober community through various alumni events. It can be a great way to reconnect with people who were there with you during your recovery, helping to strengthen the community that was built. For a person who has become addicted to a potent drug such as prescription opioids, relapse is particularly dangerous. If a person were to relapse after being clean for some time, there is a risk that they may overdose because they aren’t used to the lowered tolerance they have. This fact stresses the importance of having a support network of family, friends, and a sober community.